سواءً كنت مسافراً بغرض السياحة أو العمل, كيو تي سيدني هو خيار عظيم للإقامة خلال زيارتك سيدني. يمكن من هنا للضيوف الاستمتاع بسهولة الوصول إلى كل ما تقدمه هذه المدينة النابضة بالحياة. 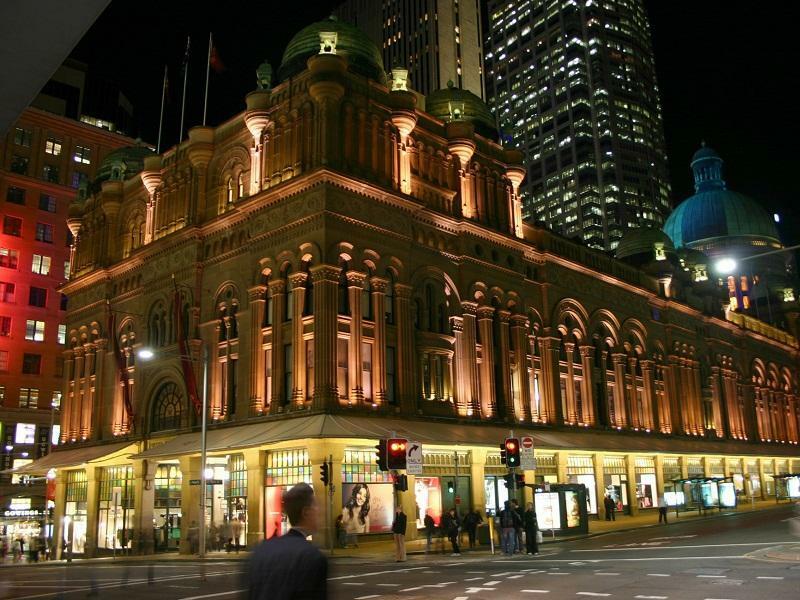 بالنسبة لمن يريد الخروج، هذه بعض المعالم السياحية المتوفرة للزوار State Theatre, Luxe Boutique Sydney, Queen Victoria Building. إن حسن الضيافة والخدمات الراقية التي تعرف بها Rydges Hotels & Resorts تغني تجربتك في كيو تي سيدني. هذه بعض الخدمات الموجودة في هذا الفندق: خدمة الغرف على مدار الساعة, واي فاي مجاني في جميع الغرف, مكتب الاستقبال على مدار الساعة, مرافق مخصصة لذوي الاحتياجات الخاصة, تسجيل وصول/خروج سريع. في كيو تي سيدني غرف نوم يزيد عددها عن 200 صممت بذوق وعناية لتوفر لك كل وسائل الراحة . بعضها يحتوي أضاً على تلفزيون بشاشة مسطحة, اتصال لاسلكي بالإنترنت, اتصال لاسلكي بشبكة الإنترنت (مجاني), غرف لغير المدخنين, مكيف هواء. يقدم الفندق مجموعة واسعة من وسائل الراحة المتنوعة، كمثل: حديقة. إن كيو تي سيدني هو خيار ذكي بالنسبة للمسافرين إلى سيدني، بما يوفره من إقامة هادئة ومرحة. Hotel upgraded us and gave us refreshments on the house while waiting for our room - thanks Jake! Love the gym access at a top club that came with the room. Love the Hayley Williams lookalikes that greet us whenever we leave the door and begin our day in a really central place in the shopping district. Not as Art Deco as I thought, still large room/amazing bathroom. Poor lighting if ladies need to do makeup (myself). There was a dirty cloth laying in the middle of our floor on arrival. Staff were amazing and food at the restaurant was delicious. Would stay again. A warm welcome from the doorman was just the start of my great customer experience. All the staff were fantastic. They were helpful, friendly and accomodating to any request. Room was spotless, great amenities and the bed was superb - one of the most comfortable beds I've ever had in a hotel. There are little touches everywhere that add up to a wonderful experience. In the room it was the minibar options, the tv screen saver, and the lighting but my favourite was the lift music tailored to the number of people in the lift. Made me smile every time I hoped in. Great job QT Sydney. I look forward to staying again. Had a fantastic time at the qt Sydney over the long weekend with the family, great location centrally located to almost everything within a stones throw. Highly recommended enjoy every moment! Will definitely be back again soon. 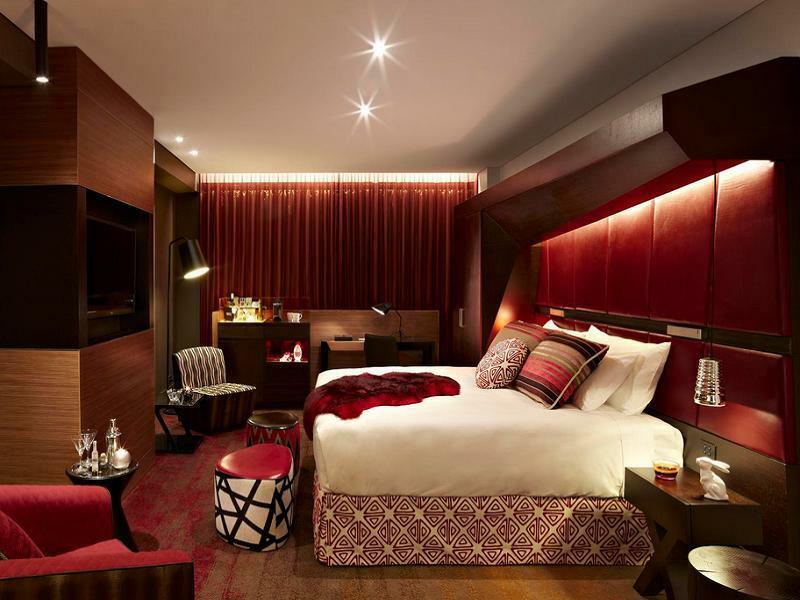 Pleasant stay in the heart of the city, QT always makes for an interesting stay with the theatrical staff, interior and overall creative deaign of the place. Sometimes photos can be misleading...not in this case, because the actual "live" experience was even better than expected. The only negative was that I never wanted to leave the hotel to see more of Sydney! Close to the major shopping district and hyde park. Easy transfer to the most sites including the Bondai beach. Funky and great design and welcome drinks as the self made Espresso Martini are plus to this small but fantasitc hotel. 20% discount on the guest for any consumption at hotel lounge/resto is another great perk to stay here. Don't expect too much on the gym facility. Instead just go to Virgin Fitness center where you can access with your hotel key. We traveled on the red eye and arrived before 6am. We had requested for early check in but was told they did not get the note from Agoda; and earliest possible check-in is 10am. So left with little choice, we went off for breakfast at Macdonalds. The staff took down our mobile and promised to call as soon as a room is ready. In slightly less than an hour, we received a call. We were pleasantly surprised. 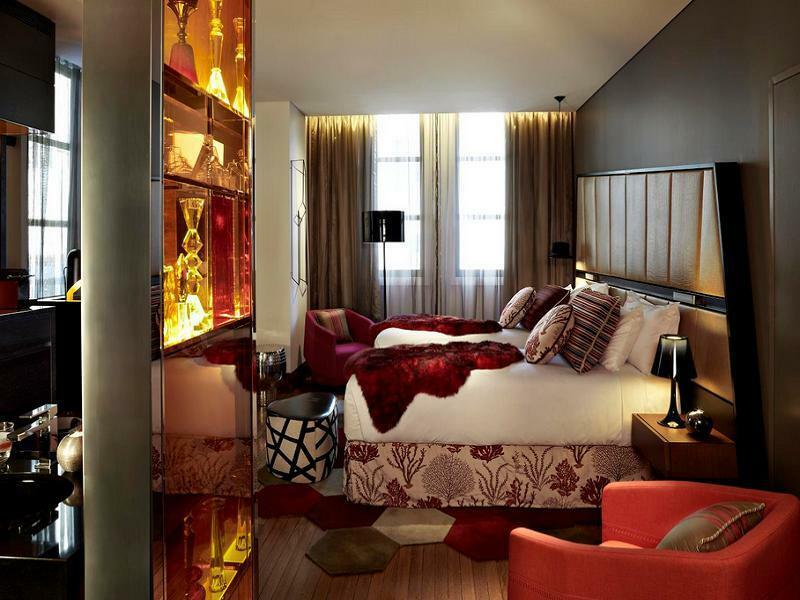 The interior of the hotel is beautiful and it is located right across Myer, Westfield and Pitt St mall. There is decent food selection at the food courts at Myer and Westfield mall. Fabulous first two nights at QT Sydney on Market Street that we went right back again after our brief stay at Bondi! 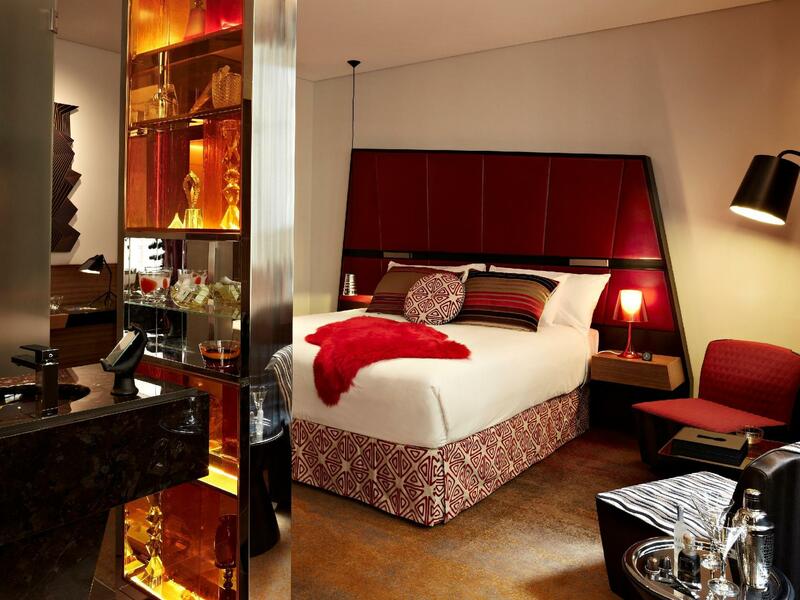 The room is so luxe! So beautiful! So comfy! Staff at the reception, restaurant and concierge were super friendly! 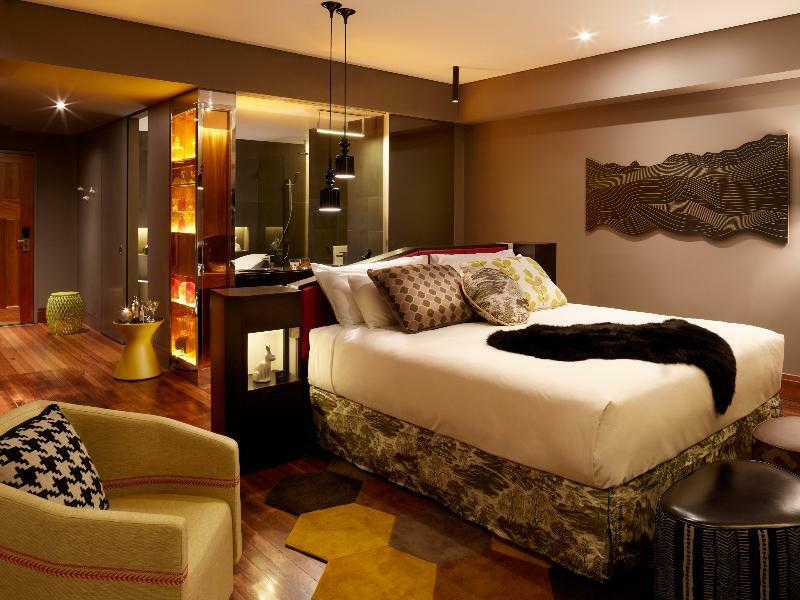 The beautifully decorated Room has all the amenities including free Nespresso coffee pods! 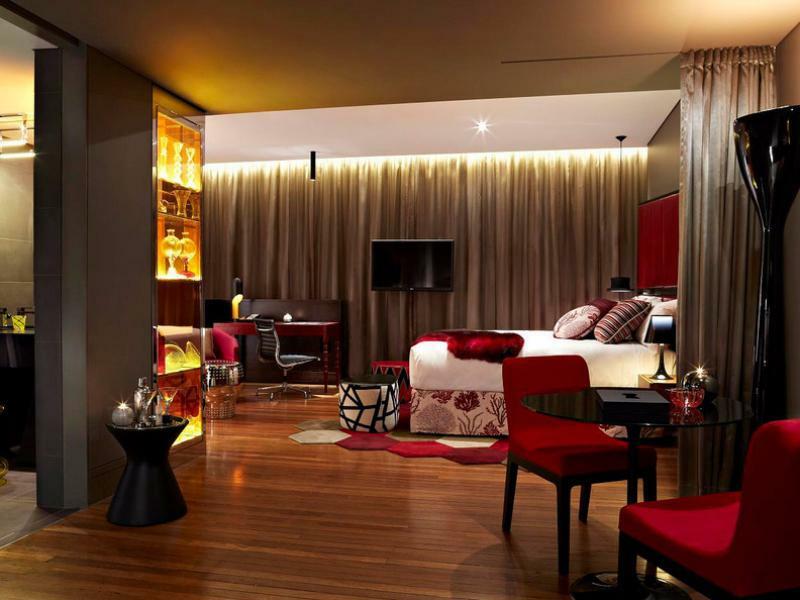 I had a great 2 night's stay at the QT Sydney and it certainly doesn't get any better than this. It is in a great location in the heart of Sydney's shopping district. Service is great, the rooms are very stylish and the restaurant Go wings is a destination in itself. HIGHLY recommend this place. Stay at the QT overall was pleasant. The most interesting parts were the offerings at the minibar. The sliding glass doors of the toilet allowed you to access the sink outside the toilet which was quite interesting. Will consider staying here for a romantic night rather than any other option. Slightly small room but everything else makes up for it. Loved everything during our stay. Dinner at Gowings Bar was delicious. Their service was excellent. Centrally located, chinatown;darling harbour within walking distance (10-15mins). Great location. Beds are super soft. Not for those with bad backs or prefer a supportive mattress. It located in the city, very convenience. 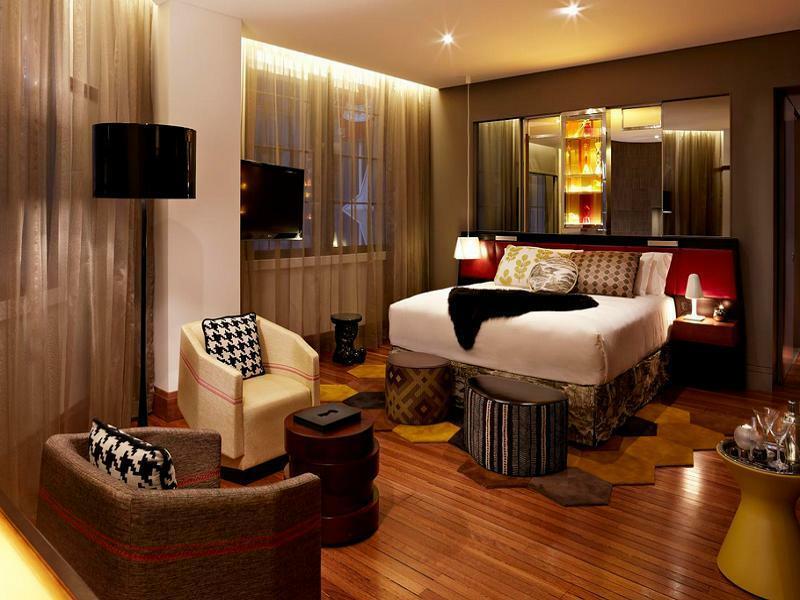 Design of the hotel is very stylish. Staffs are friendly and helpful. Main reason I chose this hotel was because of the slipper bathtub. Walk-in shower was great. Clean and comfy room. Location is central in the heart of Sydney. Everything is easy to access. Shoppers dream. Transport is very easy to gain access via trains, uber or taxi.